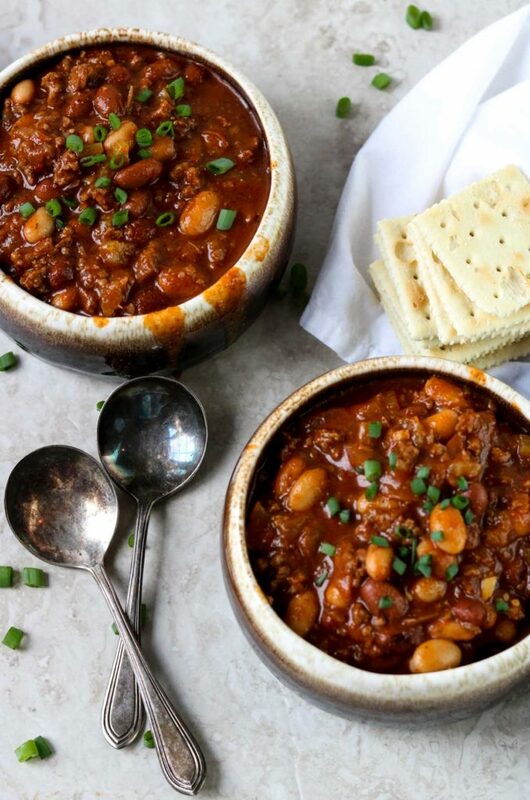 When do you think about eating chili? On a cold winter night, while watching football/basketball games, or on a snowy day?! It is such a great comfort food! It is a dinner that you can eat sitting at a table with your family or snuggled up on the couch with a big blanket. 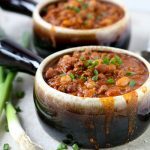 This recipe for Classic Chili is full of traditional chili flavors like onion, celery, garlic, ground beef, tomato, chili beans, and chili spice. However, I do add a pinch of ground clove and ground allspice. It adds a note that makes you say “what is that?”, but it is not strong enough that you can put you finger on the flavor. It just adds an extra layer of flavor and warmth. This is definitely a recipe that you can make ahead and keep in the fridge for a busy night. 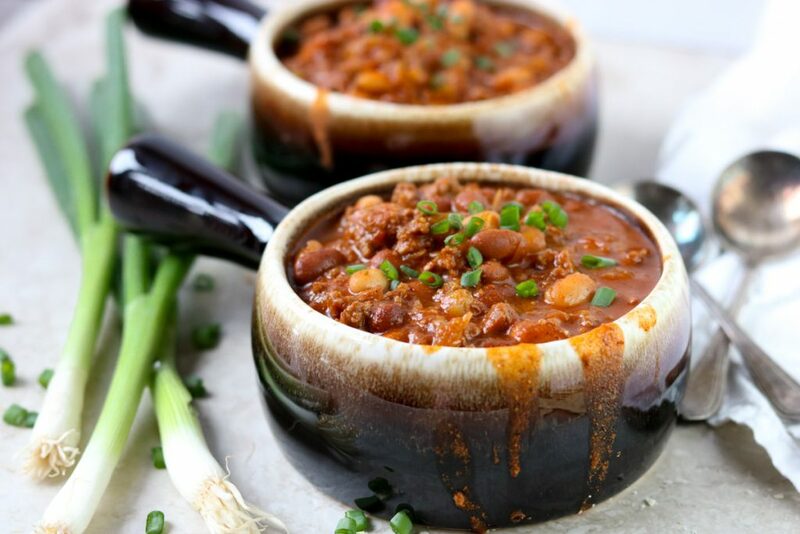 The flavors will develop as it sits in the fridge and you end up with super flavorful chili. You can keep it for up to 4 days and then reheat on the stove top to serve. You may need to add a few splashes of water to loosen it up a bit, as it will thicken in the fridge. Use ground turkey instead of ground beef. For extra spice add a pinch of cayenne or extra red pepper flakes. For extra extra spice add a chopped jalapeno when you saute the onions. Try using black beans instead of northern beans. Add 1 cup of chopped green peppers for a veggie heavy version of this chili. For a vegetarian version add a veggie crumble in place of the ground beef. Another vegetarian option would be to omit the beef all together and add an extra can of beans. 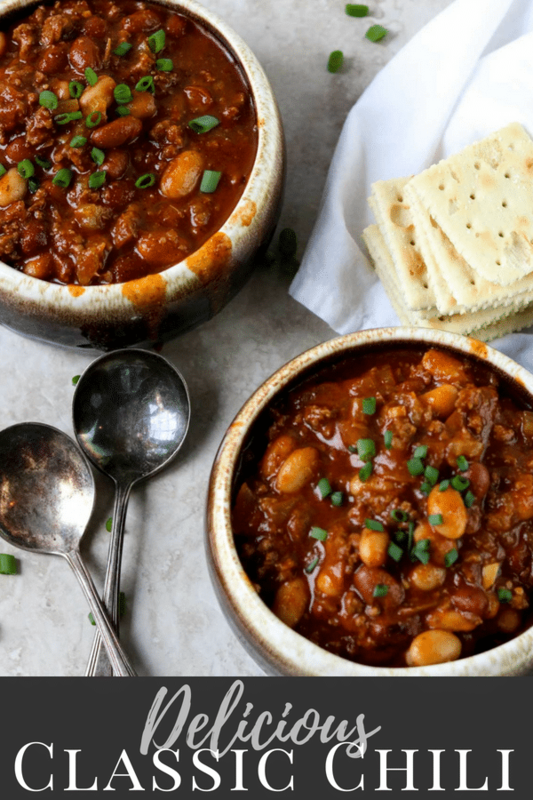 I hope you will give this recipe for Classic Chili a try in your kitchen. 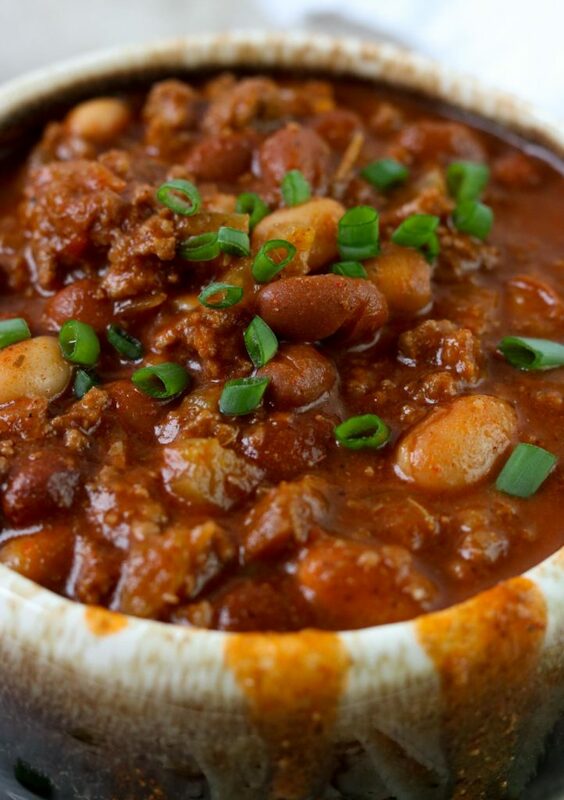 A Classic Chili recipe that has ground beef and beans. It has all the flavors you love: chili powder, garlic, onions, and tomatoes, plus a little clove and all spice for warmth. There is nothing better than a big bowl of chili on a cold night! In a large pot over medium high heat saute the garlic, celery, and onions for 5 minutes,stirring often. Add the ground beef and cook, crumbling, for 5 minutes until cooked thru. Turn the heat to medium low and add the green chilies, tomato sauce, diced tomatoes, water, both beans, sugar, and all the spices and seasonings. Stir to combine. This recipe can be made ahead and reheated on the stove top. You may need to add a little water to loosen it up. It can be stored in the fridge for up to 4 days. We made chili and cornbread last night! 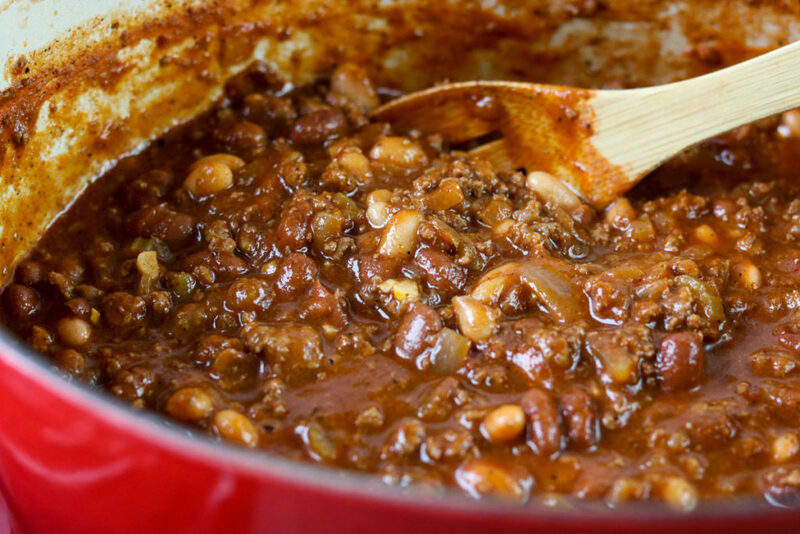 We usually make it without beans, need to try this recipe with them!! i LOVE a good bowl of Chilli! I would love to have this cooking in a slow cooker all day! I need to make 2 big batches for tomorrow night. Would I be able to cook it in a slow cooker? This is really good chili!